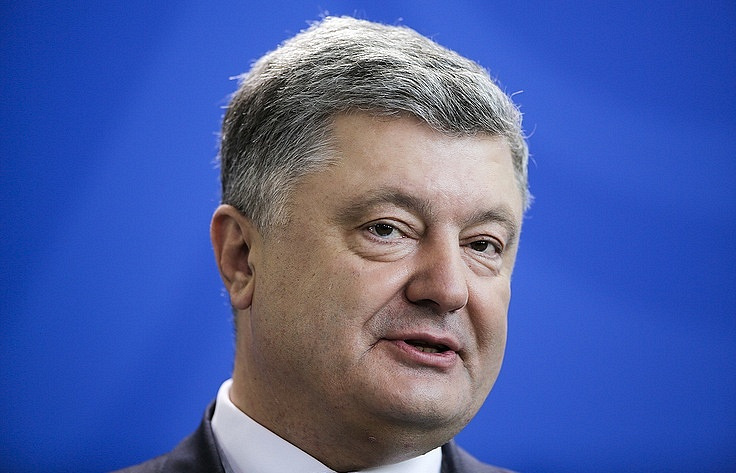 Ukrainian President said that he is "moving farther to Europe"
KIEV, May 19. /TASS/. Ukrainian President Pyotr Poroshenko announced on Saturday he had signed a decree on recalling Ukrainian representatives from all the CIS statutory bodies. "Today I have signed the relevant decree on recalling Ukraine’s representatives from all the CIS statutory bodies. We have nothing to do there any longer and we are moving farther to Europe," he said during his trip to Vinnitsa. Poroshenko earlier explained that the country would cease its participation in the CIS coordination bodies but this "does not mean exit from the CIS as Ukraine never entered it." On April 12, Poroshenko told the government to prepare a document on official termination of Ukraine’s participation in the CIS, instructing the Cabinet to start the procedure of the country’s exit from the CIS founding bodies. On April 23, Chairman of the CIS Executive Committee - CIS Executive Secretary Sergei Lebedev said that Ukraine had not submitted an official notice of its intention to withdraw from the CIS bodies so far. In December 1991, Ukraine ratified the treaty on establishing the CIS and the protocol to the treaty but did not ratify the CIS Charter and, therefore, de jure it did not become a CIS member state. Nonetheless, Ukraine participated in the organization’s work, although not at all levels. In 2014, after a state coup d’etat in Kiev, the country’s new leadership announced it was starting the process of withdrawal from the CIS. The relevant bill was submitted to the Ukrainian parliament in October that year but it had not been considered until lately.